Old Lyme, CT. Prime property for good reason, beach homes beckon you outside by appealing to the senses. The lulling sounds of rolling waves, the beauty of a seemingly eternal body of water, the salty smell of evening breezes, and the tickle of changing terrain underfoot all make waterside setups particularly peaceful. 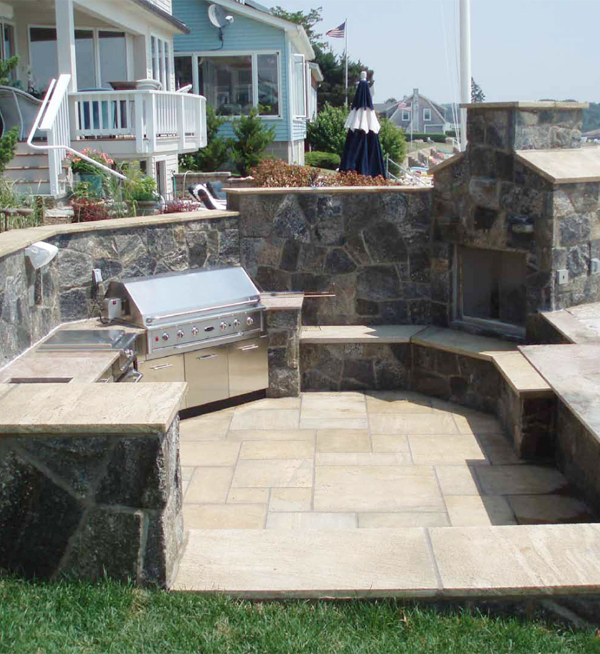 So with sand and sea bumping up to their backyard, these Connecticut homeowners were ready to max out their space for maximum outdoor living. To take on the transformation, they hired designer Michael Gotowala, president of Preferred Properties Landscaping & Masonry. Multiple terraces of stone and granite patios feature a breakfast nook, seating under a sail-inspired cloth shade, fire pit, and hot tub installed in stone. 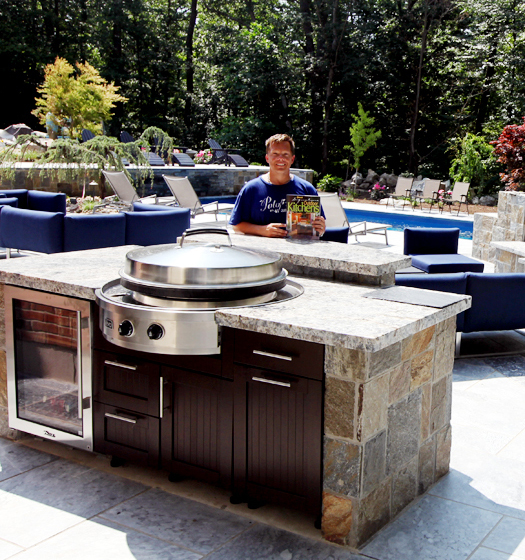 The outdoor kitchen’s design is especially distinct for two reasons: One, this section is built out and fully finished with stone and granite, and two, the space is sunken into the landscape to block the wind and protect from the elements. 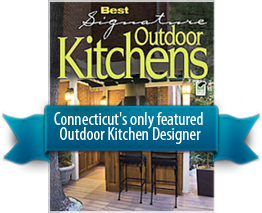 Outfitted with all the appliances needed for gourmet grilling in the great outdoors, additional amenities such as the gas fireplace for warmth and ambiance as well as a granite surround for seating complete this Connecticut cookery for optimum outdoor living.